You may have heard of Star Wars 1313, a video game based on George Lucas’ galactic saga which was being developed by now defunct studio LucasArts. It was to be a third-person action game along the lines of Bioware’s Mass Effect games, and also a darker and more mature Star Wars game than those seen to date, as its main character was to be a bounty hunter looking for glory in the Coruscant underworld. LucasArts released a promising-looking trailer back in 2012 at that year’s Gamescom show, but sadly the game was cancelled by Disney after it bought Lucasfilm, giving the rights to make future Star Wars games to Electronic Arts instead. 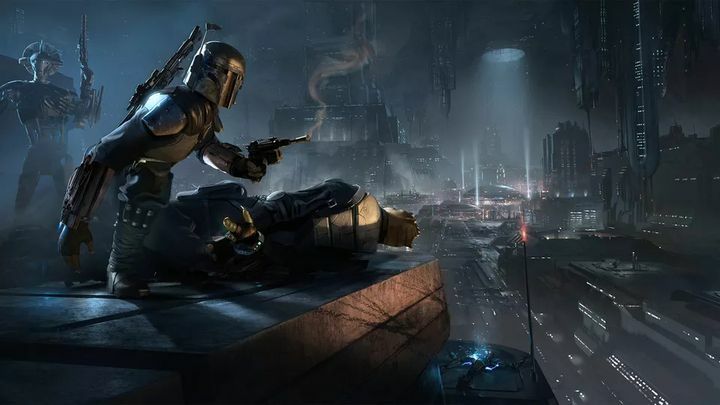 But it appears that some of the concepts and ideas the LucasArts team had in mind for Star Wars 1313 might yet live on in a new Star Wars game, as Kathleen Kennedy of Lucasfilm said that “it’s something we’re spending a lot of time looking at” and that “we may very well develop those things further” according to gaming website Polygon. Also, actor Nolan North, who’s famous for giving a voice to video game character Nathan Drake of the Uncharted games, has said that an upcoming Star Wars game by EA will be “along the same lines” as the cancelled Star Wars 1313 video game. This is a game which Amy Hennig, lead writer for Naughty Dog’s Uncharted games, is involved in too, and is currently being developed by Visceral Games. This is the studio behind the sci-fi action game Dead Space, which is one of the most violent video games made to date, suggesting this new Star Wars game could be grittier, darker and more mature than any yet released. Assassin’s Creed co-creator Jade Raymond is working on a new Star Wars game with Dead Space outfit Visceral Games. The new Star Wars game may also borrow a few ideas from Ubisoft’s Assassin’s Creed series, as the co-creator of the Assassin’s Creed games Jade Raymond is also involved in the project. And it surely would be exciting if this upcoming Star Wars game would feature Assassin’s Creed-style open-world gameplay in a darker sci-fi world, and if its story was set during the events of Disney’s new Star Wars movies. Because we’ve only got one Star Wars game set during the events of J.J. Abrams’ The Force Awakens and that’s a LEGO game, while the best-selling Star Wars Battlefront only drew from Lucas’ original trilogy. And speaking of Star Wars Battlefront, even if EA’s game was pretty, atmospheric and entertaining, its one sore point was the lack of a single player campaign, something that even one Star Wars actor has quibbled about. So even if LucasArts’ Star Wars 1313 was never to be, it would be great if EA’s new Star Wars game delivered a great single player experience, although given how much talent is involved in this upcoming game, it’s likely that will be the case when it ships sometime in the future. Has Nintendo struck gold with Pokémon Go?